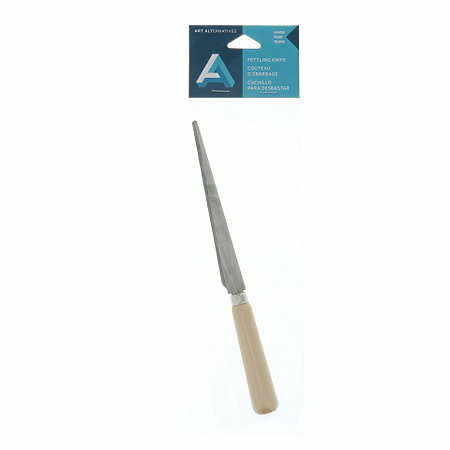 Use the fettling knife to trim pour hole waste, remove mold marks, carve and sculpt clay and greenware. The blade of the soft knife may be bent as desired, while the blade of the hard knife is tempered to have a spring-like feel. Both knives feature a 4-3/4" stainless steel blade and have a hardwood handle.